The Cat Empire are an Australian ska band formed in 1999 in Melbourne. The group are known for their genre-blurring music combining influences from ska, jazz, funk and heavy Latin influences. The group now have seven studio albums, the first of first was released in 2003, self-titled ‘The Cat Empire’. 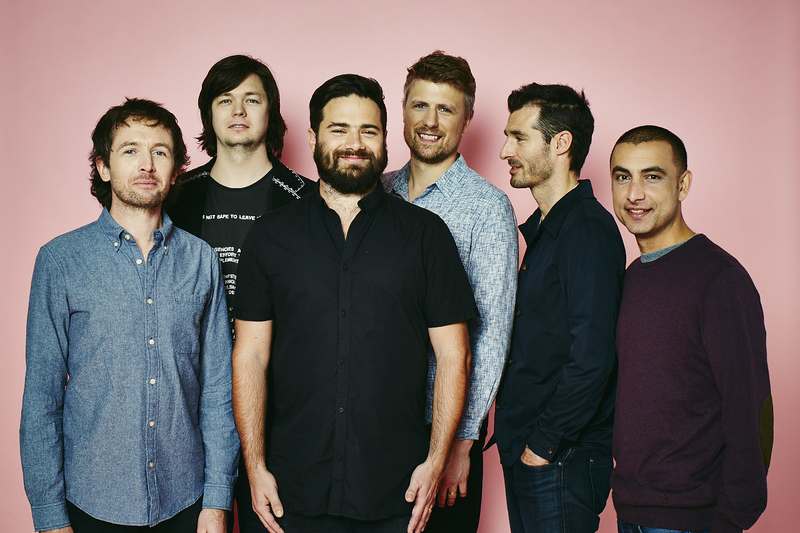 Although a non-commercial band, The Cat Empire are known for their popular cult following and consistently sell out large venues across the globe. The six-piece use an interesting and alternative live setup to make their music; Felix Riebl on percussion and lead vocals, Harry James Angus on trumpet and lead vocals, Will Hull-Brown on drums, Jamshid ‘Jumps’ Khadiwhala on percussion and mixing decks, Ollie McGill on keyboard and backing vocals and Ryan Monro on bass and backing vocals. For live shows the group are also complemented by ‘The Empire Horns’, a brass duo of trumpet and trombone. This makes for a fantastically talented and entertaining live performance. 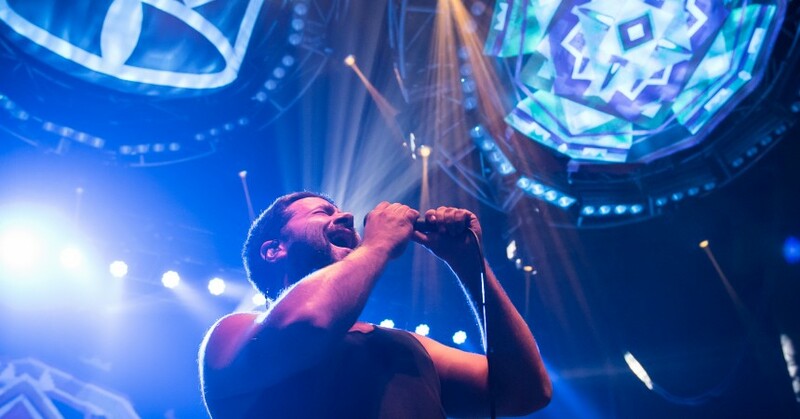 This was The Cat Empire’s second trip to Europe within twelve months after completing a tour in May/June last year. This year’s stint in Europe and the UK was in support of their latest studio album ‘Rising With The Sun’ that was released March 4th. The band graced London’s Hammersmith Apollo, one of the largest venues the band has visited whilst in the UK. 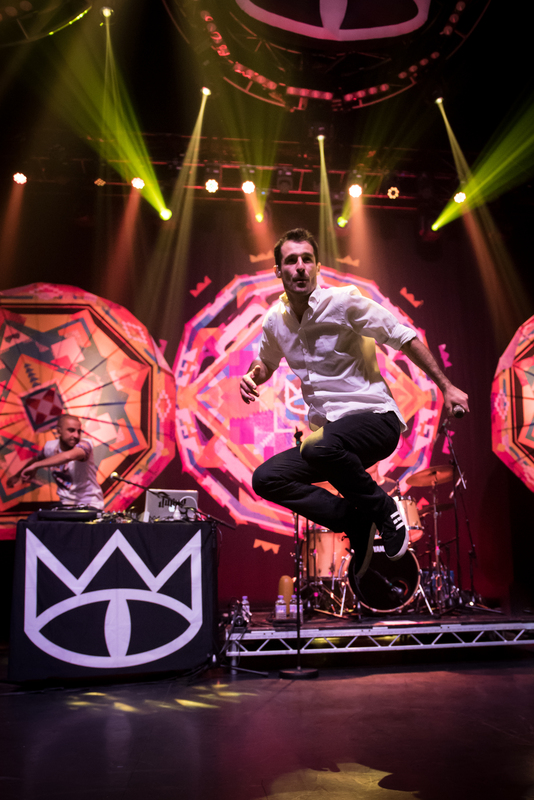 As well as the stay in London, The Cat Empire also made their way to Norwich, Cambridge, Edinburgh, Glasgow, Leeds, Manchester, Cardiff, Birmingham, Bath and Portsmouth on the tour. The Cat Empire’s fifteen plus years of experience always come across. The group played through an impress I’ve nineteen songs throwing in, as always, their incredible instrumental arrangements between songs. The amount of time and speedy style of playing live shows what a talented group of musicians they are, not stopping for a breath during drum, keyboard, trumpet and mixing deck solos from the band members. ‘Daggers Drawn’, ‘How To Explain?’, ‘In My Pocket’ and ‘The Wine Song’ all came complete with a solo. The Cat Empire opened with two songs from the new album ‘Wolves’ and ‘Bulls’. The gig ended with a four-song encore, finishing up with ‘The Chariot’. If you haven’t yet got you groove on to the ska sounds of The Cat Empire then you’re missing out!